The Alabama product liability attorneys at Hollis Wright are currently investigating a variety of claims related to hernia mesh failure. If you or a loved one has experienced complications or required a revision surgery as a result of mesh used to repair a hernia, you may be entitled to compensation. 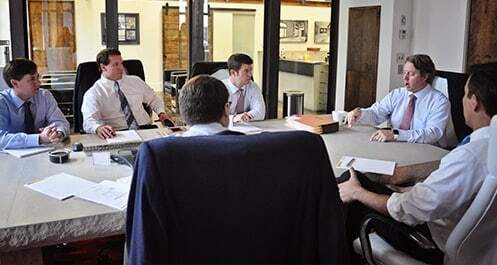 Take advantage of our FREE consultation and allow us to evaluate your potential case. Contact us here or call us toll-free at 844.LAW.TALK. Our attorneys have a proven track record throughout the country in handling a wide variety of medical device cases. Please remember that a statute of limitations will apply to your claim, so don't wait to hire an attorney. All cases we take are handled on a contingency fee basis, meaning you don't pay unless we win. What is a hernia and how is the mesh used? A hernia occurs when organ or tissue breaks through weak or thin muscle, causing the tissue to bulge through the opening. A wide variety of hernias are often repaired with mesh, which is a woven patch of flexible, synthetic material used to cover the weakness in the muscle and prevent organs or tissue from protruding through the opening. Synthetic mesh has become more common in hernia repair surgeries because sutures are supposedly more likely to lead to infection, pain and a slower recovery. However, synthetic mesh is causing an increase in hernia recurrence and has also been associated with high rates of infection, inflammation, mesh erosion, bowel adhesions and severe pain. The high complication rates associated with hernia mesh suggest that it is not safer or more effective than traditional methods of treating or repairing hernias. Further, these mesh complications often lead to a revision surgery whereby the surgeon attempts to remove the mesh which is extremely difficult to accomplish. What types of mesh are causing complications and problems? 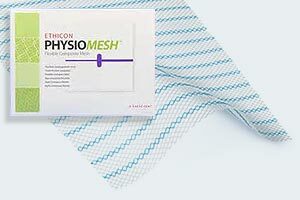 Johnson & Johnson's subsidiary Ehticon in 2016 recalled its surgical mesh product Physiomesh, which is used in ventral hernia repair. The device is used by surgeons to reinforce the weakened tissue through which the hernia is protruding. Surgical mesh is intended to be superior to sutures because it ideally offers a quicker and smoother recovery time. Also, because the surgery is done laparoscopically, the patient in theory have less complications and less recovery time. However, studies indicate a higher need for follow-up revision surgery after a hernia repair using the Ethicon Physiomesh. In other words, patients are at a substantially higher risk for a recurring hernia after a hernia repair procedure using Physiomesh. Patients who have already had surgery may need another procedure, which increases patient risk, recovery time, cost and the possibility of further damage. Patients may also incur pain and suffering, loss of wages, emotional distress and a host of other issues due to the avoidable follow-up surgery. As with Ethicon Physiomesh, Atrium C-Qur substantially enhances the patient's risk of needing a revision surgery. This causes the patient to endure undue risk through another surgery, which may lead to lost wages, emotional stress, missed work, and further injuries. How did these hernia mesh products make it into the marketplace? All of these types of hernia mesh products were introduced through the Food and Drug Administration's (FDA's) 510(K) program, which allows the FDA to grant market clearance without stringent pre-market testing, so long as the mesh products have substantially similar countertypes already on the market. The 510(K) product clearance route is controversial in that it allows a product to gain access to the market and into hernia patients solely based on the performance of other substantially similar products. What types of hernia are repaired with mesh? Inguinal: Hernia that occurs in the groin area. Femoral: Hernia that occurs in the thigh or outer groin. Incisional: Hernia occurs after surgery. Ventral: Hernia occurs in the abdominal wall. What are symptoms and/or indications that your mesh has failed? 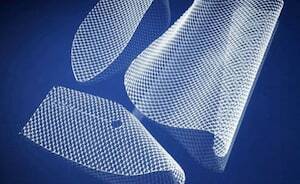 More than 100,000 hernia mesh devices per year are implanted in patients in the United States. Many are still on the market and have not yet been recalled by the FDA. In addition to bowel obstruction and severe infections, many of the below issues are reported and indicate a patient has failed mesh. Your body has a foreign-body reaction to the mesh. What will we ask you when you initially contact us regarding your mesh? When was your original hernia surgery? What type of hernia was repaired? Who is the doctor who performed the surgery and at which hospital? This is so that we can acquire medical records for detailed information regarding your mesh product. Do you know the maker or manufacturer of your mesh? What types of complications are you having? How severe are your complications? When, after the original surgery, did you begin having complications? Have you been treated for your complications? If yes, by whom? Have you lost time at work due to mesh complications? Have you had your mesh removed or replaced? Or has your doctor indicated you need to do so? If you have had any issues with your hernia mesh, call us as soon as possible. We will provide you with a free consultation and help you determine if the mesh your surgeon used qualifies for a claim. You may call us at 844.LAW.TALK or 205.324.3600 or contact us here.